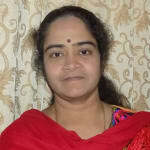 Dr. Jayasree Ramesh is one of the best Orthopedists in Mulund, Mumbai. She has been a successful Orthopedist for the last 31 years. She has done MBBS, MD - Physical Medicine & Rehabilitation . You can consult Dr. Jayasree Ramesh at iWellthness Pain Management in Mulund, Mumbai. Book an appointment online with Dr. Jayasree Ramesh and consult privately on Lybrate.com. Lybrate.com has a number of highly qualified Orthopedists in India. You will find Orthopedists with more than 27 years of experience on Lybrate.com. Find the best Orthopedists online in Mumbai. View the profile of medical specialists and their reviews from other patients to make an informed decision. Having severe knee pains and disc problem. L4l5. 41 years female two children thyroid from 20 yrs. Taking eltroxin 100. Left knee much gap at knee. You have to do regular exercises for your know to strengthen the muscles as you are to young to undergo knee replacement surgery 2 go on a diet also to impede your thyroid function 3. For the back problem also do regular posture correction, exercises, a course of physio will help 4 check your vit d3 and b12 levels also and take corrective measures of low.